Comedian Jeff Allen recently opened up about his struggle with drug addiction and how through that battle, he found God. Allen, who launched his career in 1978, told Fox News about his battle with alcohol and drugs, one that forced him to move back home with his parents at various points. “I got clean and sober for a while and I’ve been sober for 31 years now,” he shared. For over thirty years, Allen appeared on stages all around the country, visiting over 1,000 churches, and even making an appearance at the Grand Ole Opry. Even when he was touring, he would struggle with the desire to drink or do drugs, which ultimately almost ruined his marriage to his wife of 32 years, Tami Mishler. “I said, ‘this is going to be a quick night, babe. I’m gonna do my little dog and pony and we’re gonna get out of here,'” Allen said, knowing how much mental fortitude it would take to resist the drinks that night. 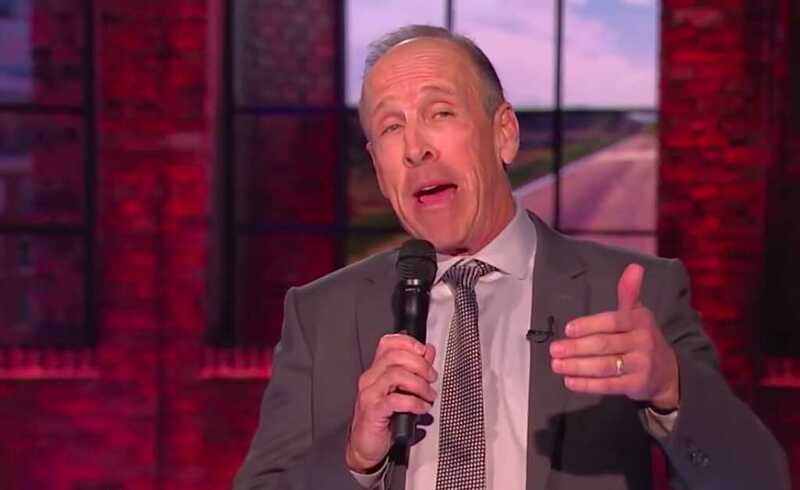 The “Happy Wife, Happy Life” comedian told Fox that he doesn’t regret being a traveling entertainer, but he does regret moving out of New York. “If I have any regrets, it’s that we left New York because I was in a [good] position and a number of the guys that I had started with have taken jobs as writers and performers at the Comedy Channel and I had done some auditions for an HBO special,” Allen said. “I had just been sober a year or two and I was a walking scab, that’s the best way to describe it. I was functional, I wasn’t going to go to prison, but I’ll tell you what — if you picked at that scab, I got angry and I got pissed off and I remember telling my manager at the time or my agent at the time, I’ve gotta get out of this city before I burn a bridge — a big bridge,” he said. But that wasn’t the end of Allen’s journey. “God had other plans for me and we went to Arizona, of all places,” he said. As long as he can remember, Allen was in search of a higher feeling of stability in his life. He found himself in a place where he had uncontrollable anger and was on the brink of losing his wife, and his home. Only at his breaking point did he begin a journey of self-discovery, yearning to find the healing he knew he needed. That happened the same time Allen’s marriage hit a breaking point. It was in the moment of grace that Allen realized he needed to make a change. In good timing, while on his journey to become a better person, he stumbled upon the Bible, thanks to a golfing friend of his. Since then, Allen has tried to be the man that God has called him to be. “I’ve since spent the past 20 years trying to live up – I’m nowhere near it, but I’ve tried to live up to what that means as a child of Christ. I’m way short. I fall short every day. It’s like Blaise Pascal’s wager, where he says as a Christian, what have I lost? At the end of my life, if it turns out to be false — I was a better husband, a better father, a better citizen and certainly a better comedian,” he said. Allen is currently touring. For information on his tour, click here.